Who doesn't love a birthday? No matter how many candles are on the cake, few can resist the love, celebration and special attention that come their way each year. 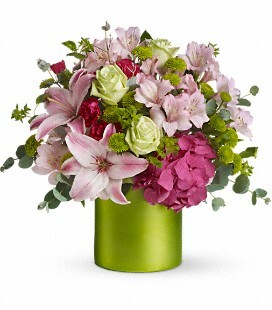 Teleflora's got a birthday gift bouquet that’s sure to make their day. What's more, same-day flower delivery is available on most orders, so you’ll never have to be belated with your birthday wishes again. Not sure where to get started? Read our birthday gift guide below for selecting the perfect birthday gift for that certain someone. Just because you can't be there in person on the big day doesn't mean you can't give the guest of honor a festive salute. Send a flower gift so bright and cheerful, it's like delivering your personal rendition of "Happy Birthday to You" – minus the off-key notes. 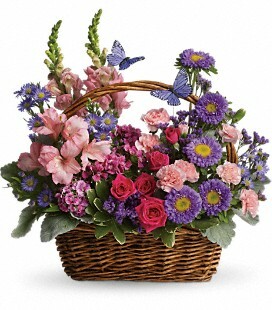 Send Country Basket Blooms and give their heart's desire a little nudge. When they blow out the candles, will they be wishing for a new house? A new job? A new love? This charming basket is accented with a beautiful blue silk butterfly, which has been a symbol of change and transformation for centuries. It looks like the delicate winged creature has just landed atop a palette of colorful fresh flowers: daisies, carnations and spray mums. An artful zen display is perfect for the desk of an overworked friend or the coffee table of a new mom or dad, these birthday flowers encourage them to take a deep breath, slow down and enjoy the moment. 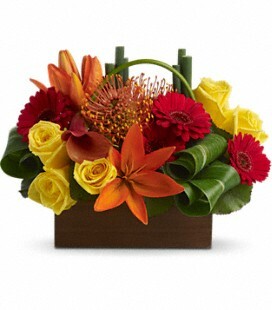 Send a big, beautiful tribute to the guest of honor on her special day. On her big day, she deserves to have it all: beauty, elegance, flair - and lots of it. That's the message behind this floral gift.